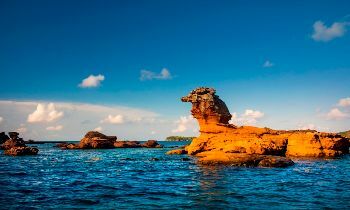 Phu Quoc island is appealing not only by the natural beauty as paintings but also by delicious specialties that visitors cannot ignore on the Phu Quoc tour. Address: 129 Tran Hung Dao street, Duong Dong town. Opening hours: 5:00 p.m - 10:00 p.m.
With only VND 40,000-100,000, you can enjoy the tasty and fresh seafood at Ot Ngot restaurant. 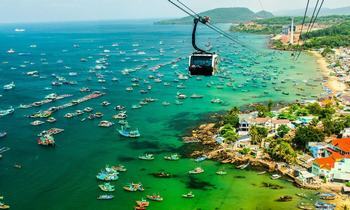 Located on Tran Hung Dao street, the Phu Quoc restaurant is always crowded with visitors. 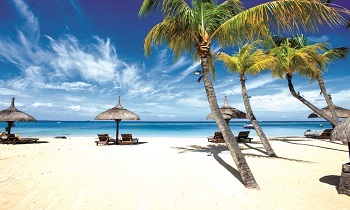 The menu is rich and diverse with many fresh and eye-catching seafood dishes. Especially, diners at the restaurant are mainly Westerners. Address: 42 Nguyen Trai street, Duong Dong town. Opening hours: 4:30 a.m - 9:00 p.m. Anyone who travels to Phu Quoc island also enjoys the broken rice dish and one of the most outstanding restaurants belongs to Ms. Huynh Nhu. 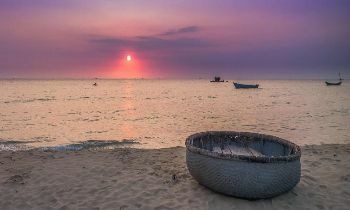 Every time passing by in the morning, tourists can smell the aroma of the ribs emanating from the Phu Quoc restaurant. In addition, the restaurant also has vermicelli with marinated char-grilled pork which is also very tasty. Address: 27 Bach Dang street, district 1, Duong Dong town. 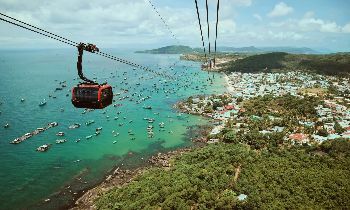 Opening hours: 6:30 a.m - 10:00 p.m.
Phu Quoc is famous for noodle dishes so visitors can easily find where to try them of which Phung restaurant near Dinh Cau is the most famous one. The main ingredient is the fresh mackerel caught by local fishermen, creating a bowl of the aromatic soup that charms everyone. Address: 1 Tran Hung Dao street, KP7, Duong Dong town. Opening hours: 10:00 a.m - 10:00 p.m.This Phu Quoc restaurant is famous for the delicacies made from crabs so if you are a fan of crabs, you should not miss this spot. All the fresh crabs at Crab House combined with the unique recipe will certainly make diners unforgettable when enjoying the delicious food here. Address: Ward 2, Duong Dong town. Opening hours: 8:00 a.m - 10:30 p.m. Located inside Huong Bien hotel, Huong Bien Phu Quoc restaurant is famous for not only the good food but also the attractive space. 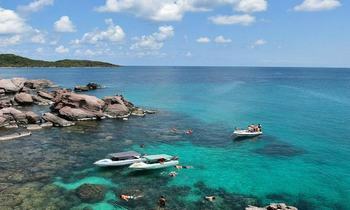 If you have the opportunity to Phu Quoc, let’s visit the restaurant. The food here will surely not let you down. Address: 131 30/4 street, Duong Dong town. Opening hours: 9:00 a.m - 10:00 p.m.
Ra Khoi restaurant has a cool and clean space where to eat in Phu Quoc, suitable for a group of travelers or family. 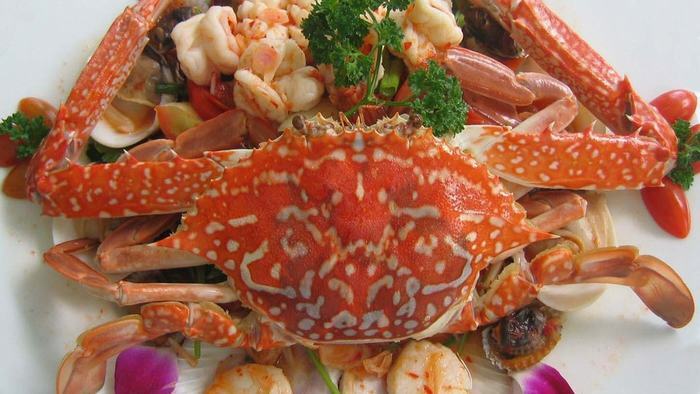 There are many delicious dishes, especially seafood that many people prefer to choose. In addition, the price is very affordable. Address: 30/4 street, Duong Dong town. Opening hours: 6:00 a.m - 10:00 p.m. 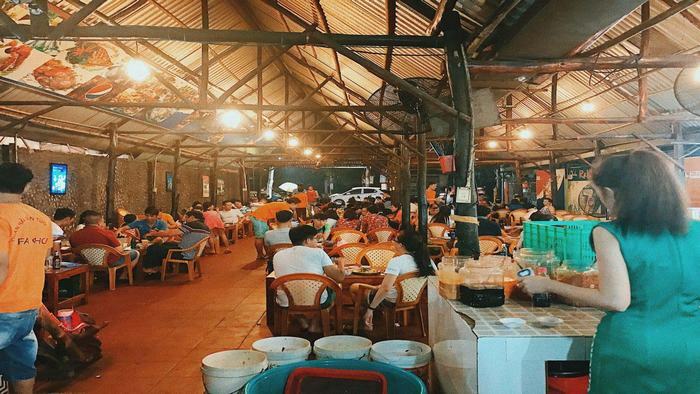 Located near Hung Vuong crossroad, the restaurant is most famous for its dish of “bun ken” vermicelli. The unique dish will surely make you cannot forget with the creamy taste of coconut milk, sweet taste of fish, and hot spicy chili. Address: Sao Mai hill, 69 Tran Hung Dao street, district 1, Duong Dong town. 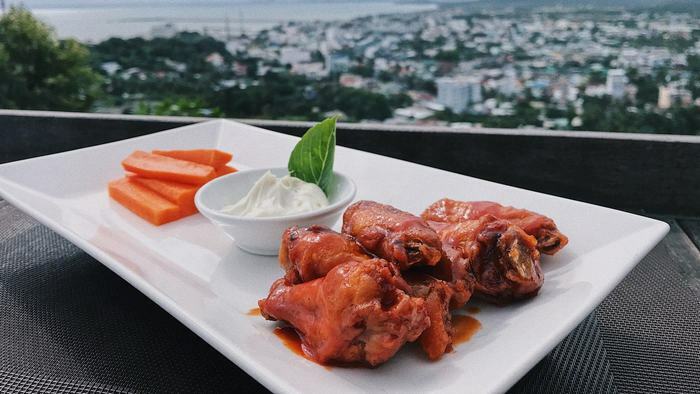 Opening hours: 7:00 a.m - 11:00 p.m.
Chuon Chuon is one of the restaurants having an extremely advantageous location on the top of Sao Mai hill with a sea view. 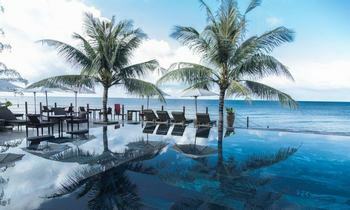 Every corner from the terrace to the interior of the Phu Quoc restaurant is beautiful so that not only can tourists try the delicious food here but they can also enjoy the beautiful space of Phu Quoc island. Address: 151 30/4 street, district 1, Duong Dong town. The restaurant is well-known for the dish of flavorful crab paste vermicelli soup and its cheap price. Another advantage of Duc Tan restaurant is the spacious and clean space, fast service, and enthusiastic staff, helping you have a perfect meal on the island. Address: 28 Bach Dang street, Duong Dong town. Opening hours: 6:30 a.m - midnight. 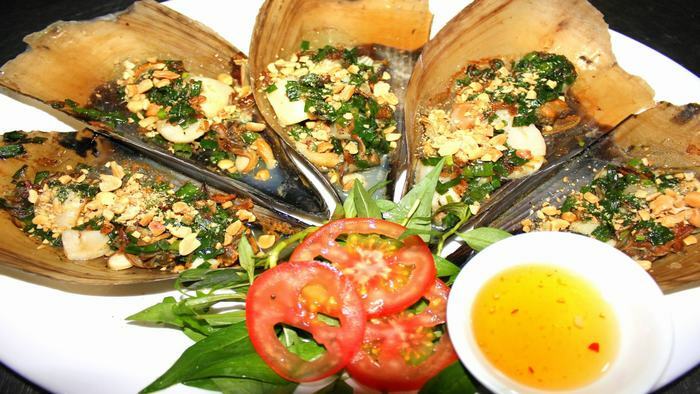 It is one of the rustic dishes of Phu Quoc island district. A special point in the restaurant is that the diners have to stand in line and serve themselves to be able to eat this dish. Because of this, the restaurant is always crowded and attractive to many people to contemplate. 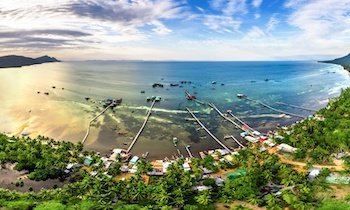 These are the top 10 Phu Quoc restaurants that you should not miss in the island. 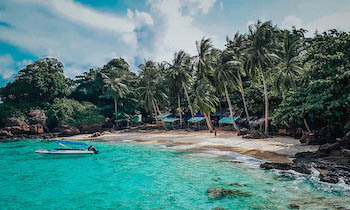 If you have a chance to travel to Phu Quoc, don’t forget to visit these spots to try the specialties with the flavorful and unforgettable taste. If this is helpful for you, don’t hesitate to like and share with others. Thank you.